This is the main viewing form for the Editable Mode and is reached through the add new records option. The majority of the work involved in adding, deleting and editing records will be done here. It should be noted that certain information will "auto fill" based on previous information entered in the record. 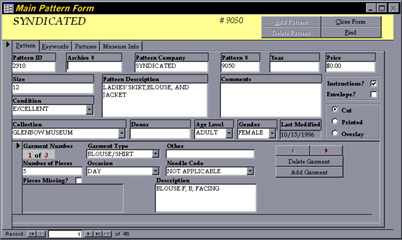 The user can also navigate through existing records and make changes as desired.